Compassionate Nashville is a grassroots campaign to engage the Greater Nashville Community in global conversations around compassion, to promote the compassionate work of local individuals and organizations, to increase community understanding around the benefits and best practices of compassion (including skills in compassionate communication, peaceful community dialogue, empathy and mindfulness) and to connect to and build upon on a global campaign to create cultures of compassion in all sectors of society, including business, faith, education, healthcare and the arts. We invite you to join us for networking, support, inspiration, compassionate skill building and cross promotion of programs and events. Check out the latest updates and events on our FACEBOOK PAGE AND JOIN OUR EVENTS GROUP to promote your event! THE COMPASSION GAMES SONG MUSIC VIDEO PROJECT! Help us make a cool music video that will promote and celebrate diversity, inclusion, compassion and engage people in International Compassion Games. 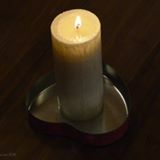 The video will inspire compassionate action worldwide. Seeking talent. Contact us for more info. Compassionate Nashville on Arab TV! 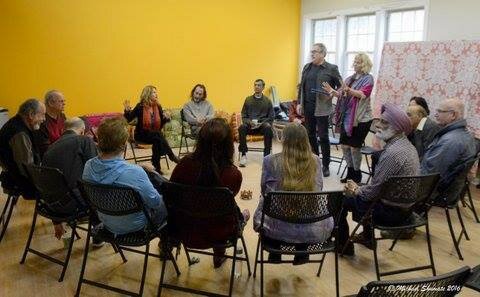 Compassionate Nashville Community Circles offer a safe space for interpersonal dialogue and vulnerable conversations, compassion skill building, authentic connection, and opportunity to cross promote compassion related work or community events. Each month will highlight a special topic, guest or organization. The "Compassion Play" was an original interactive musical that took participants on a journey into the heart of compassion for the earth, self and others with music, theater, guided meditations, improv comedy, partner exercises, and more. The play was conceived by Dina Rae Capitani, Lanny Smith and Brian Denhoffer and made it's debut at the Centennial Arts Studio's Blackbox Theater in Nashville, TN on March 22nd and March 27th, 2017. The performance received rave reviews with requests for its return. READ MORE! Compassion Cities Campaign and Compassion Games Founder Jon Ramer and Sommer Albertson passed the Compassion Torch to Nashville on December 11 and 14th, 2016 and reignited the campaign for Compassionate Nashville. Read More! WE ARE PART OF THE CHARTER FOR COMPASSION'S INTERNATIONAL COMPASSIONATE COMMUNITIES INITIATIVE, WHOSE PURPOSE IS TO TO RAISE AWARENESS OF THE BENEFITS OF COMPASSIONATE ACTION AND ENCOURAGE CITY LEADERSHIP FROM AROUND THE WORLD TO CREATE AND BRING TOGETHER EFFORTS TOWARDS INCREASING COMPASSION THROUGH LOCAL INITIATIVES, POLICY, AND PROJECTS. To become a fiscal sponsor, community partner, or steering committee member please contact Dina Capitani at compassionatenashville@gmail.com.